Welcome to my first Christmas gift guide for this year!!!! I have been trying to hold back the excitement (without much success) about getting stuck into these gift guides, as I enjoyed doing them so much last year. It was great to hear your feedback too, how you were able to find presents for your loved ones that you may not have thought of getting for them. I can't wait to show you what I've been keeping stashed in a massive box in my room filled with goodies, and I just want to say a huge thank you to any brands and PR's who have kindly helped me out this year! Your support means the world to me. So this year we're starting off again with friends and sisters! I always find this category pretty easy to buy for as my friends either have similar tastes to mine or have specific tastes that I know how to buy for. 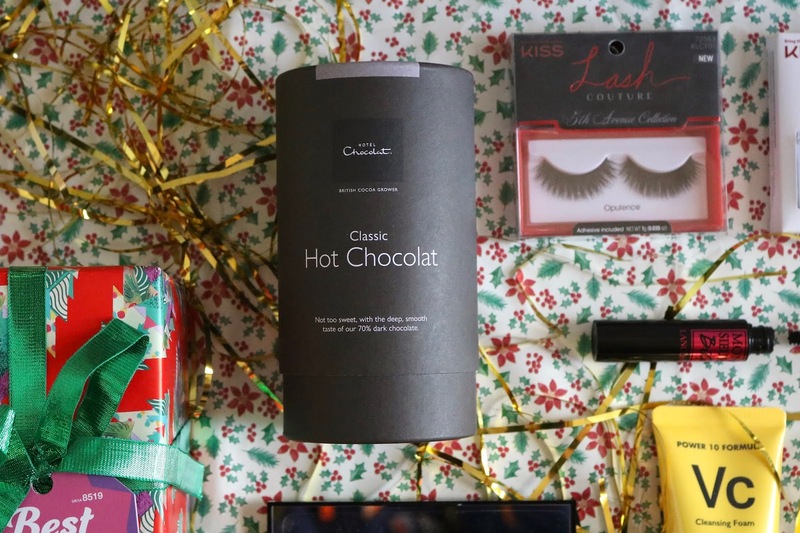 For me, these gifts normally tend to lean towards the beauty side of things, but I've also added a foodie pick in here too. I'll also be doing specific guides for bookworms, fragrance lovers, and travellers along with stocking fillers, so if your friend or sister fits any of those categories then feel free to take a look at those guides when they're live! First, let's start with some pampering products! There is always an abundance of these on the market at this time of year so it can get pretty overwhelming. I've picked two of my favourites from two brands I adore, that I've myself bought in the past for birthdays and Christmas presents. You can't do Christmas without thinking about Lush! You always know it's getting to that time of year when you start to see the shelves at Lush fill up with Christmas themed products, including my faves like Snow Fairy and Golden Wonder. As well as their individual products you also have their gift sets which are conveniently wrapped up all ready for you. 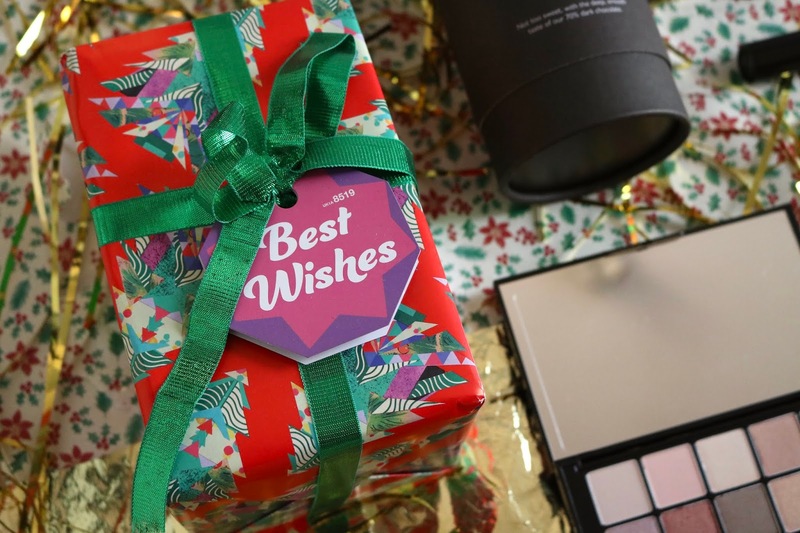 The Best Wishes set is vegan and wrapped beautifully like all of Lush's sets. Inside you get a 110g Cinders Shower Gel, a Golden Wonder bath bomb and Puddy Holly bubbleroon. This is great as a last minute present as you don't have to panic about wrapping it, or for any Lush addict (like me). Another brand that I always turn to for gift sets is Baylis & Harding. They are always spot on with their scents and their sets are always such good value for money. Their Midnight Fig and Pomegranate Clutch Bag gift set doesn't disappoint! Sitting in a gorgeous sequin and velvet clutch bag are a shower gel, hand and body lotion, and a body spritz. I especially love the scent of this set, and the shower gels and lotions are always super moisturising. Even better- it's currently half price at Tesco! They also do this set in their other scents which you can shop on Amazon. We all have that friend or sister who is a makeup hoarder, and to be truthful I'm the same. I don't think I could ever tire of getting makeup as a gift. There are some great sets out there, so let's start with this one from Laura Geller. 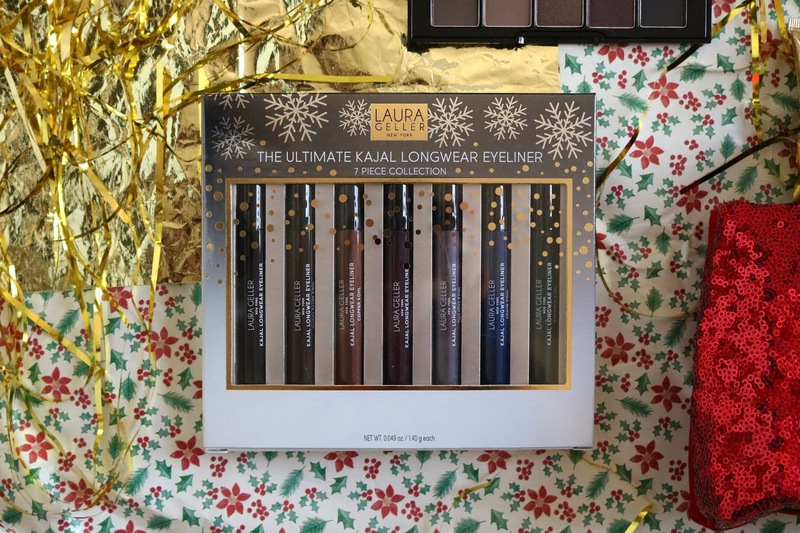 Their Ultimate Kajal Longwear Eyeliner set gives you the pick of the bunch as you get 7 eyeliners in the set. Perfect for creating a smoky eye, the shades range from your classic blacks and browns to shimmery coppers and emeralds that will last all day. To prove just how popular these liners are, this set is currently out of stock, but keep checking in case they restock it! If not you can shop a set of three (£29.50) on QVC. 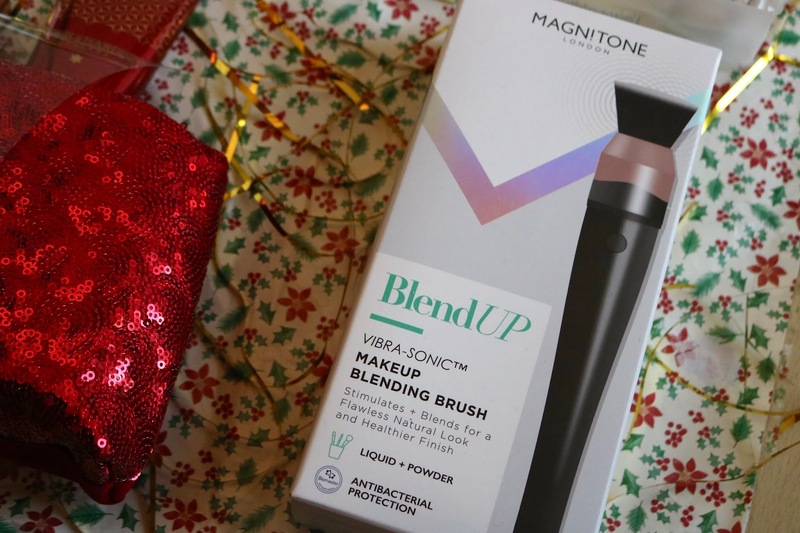 If you have someone who is really into their tech and also loves makeup, then something like the Magnitone BlendUp Vibra-Sonic Makeup Blending Brush would make a great alternative present to buying makeup products. Electronic blending brushes have already been out for a little while, but Magnitone's version generates over 250 Vibra-Sonic movements per second to create a natural airbrushed finish in a short amount of time. It's super versatile as you can use it with wet and powder products, meaning that transitioning between products (like from foundation to cream contour for instance) becomes really easy. This would also be fantastic for travel as you have most of your face brushes in one! 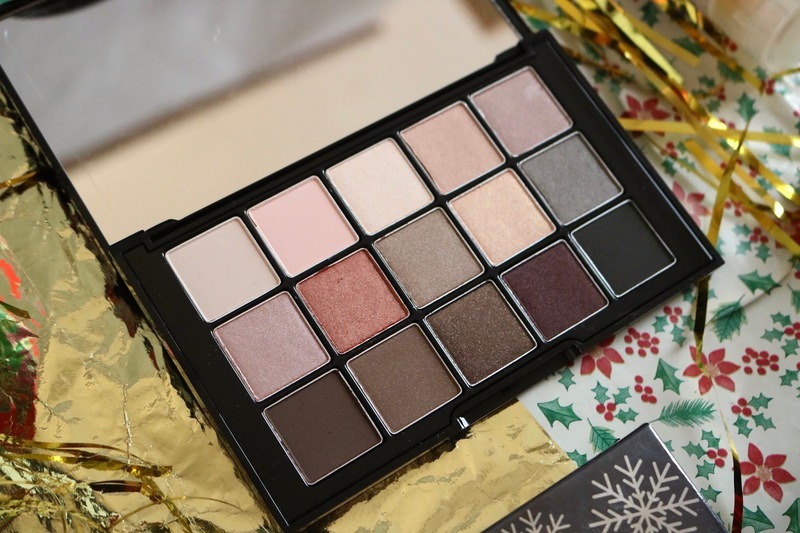 You can't beat a palette as a Christmas present, and one brand that definitely shouldn't be overlooked is Avon. If you have a younger sister who is just starting her makeup collection then the True Colour Day To Night Eyeshadow Edit would make a great basics palette for someone. From matte neutrals for base colours to sparkly golds and silvers for a more glam look, this palette has everything you need to create looks taking you from day to night. I always find Avon's eyeshadows to be really creamy and blendable, so I think this palette would be a joy to use. When you know what brands your friend or sister uses, then you can decide to buy them a top-up of a product they love, or a new product they haven't tried before. For example, the Lancome Monsieur Big Mascara would make a fab gift if the person you're buying for likes Lancome. This mascara is one of my favourites in my collection, and I believe that it's worth the higher price tag. This coats my lashes giving me amazing volume and lift, and I don't get any fall out under my eyes even after it being on my lashes all day. The bristles on this are perfect- not too big so that the product doesn't get all over your face and not too small so that you get a great amount of coverage on your lashes. Another great alternative would be lashes. 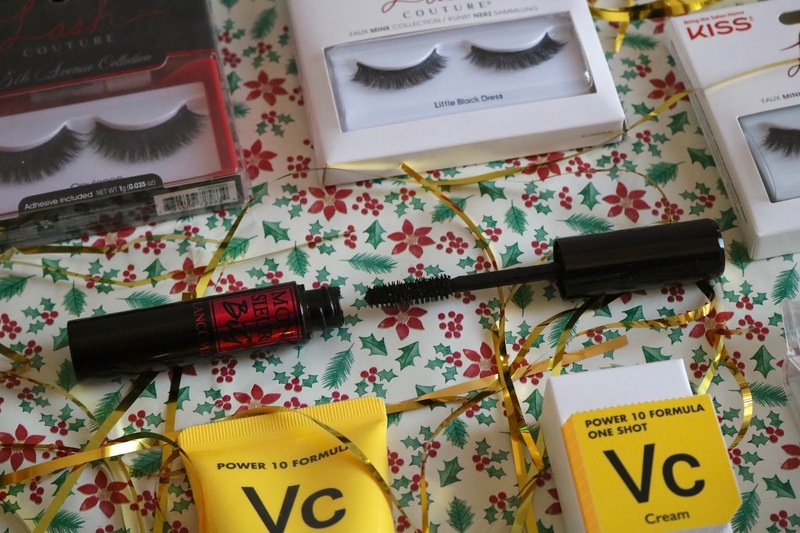 Stocking someone up with some of their favourite lashes means that they'll be set for any New Year's parties their heading to. Kiss has a great variety, with lashes that look really natural all the way to big dramatic lashes. I'm definitely more of a natural lash girl (seeing as I have quite long lashes already), so I'm loving the Lash Couture ones in Little Black Dress. If dramatic is more their thing, then the Midnight lashes from the same collection, the Triple Push Up lashes in Corset and the 5th Avenue lashes in Opulence would be perfect. For the skincare addicts out there, there are some great products available, especially if they like discovering new brands. 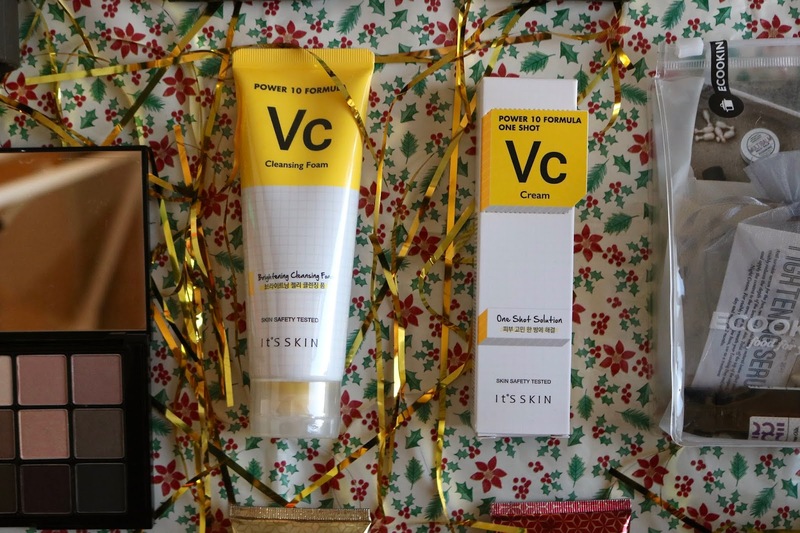 If you want to introduce your friend to a new brand without committing to full-size products, then why not get them a gift set of samples for them to try? 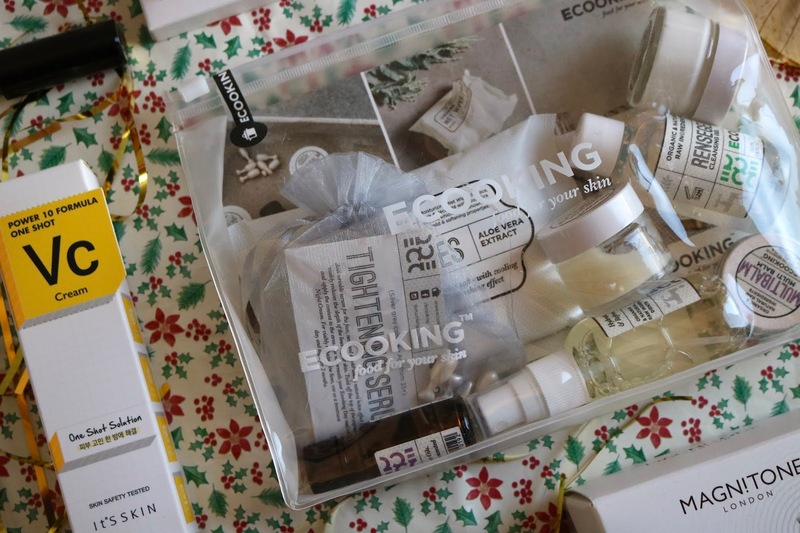 Ecooking have brought out a discovery kit featuring all their vegan skincare basics in a travel-friendly pouch. As their prices are slightly higher this a great way to discover a new product that they'll love without spending money on a product that they won't like. I'll definitely be packing this in my carry on for Berlin, and the transparent bag will be great for keeping toiletries in for future flying trips. Again if you know their tastes, then treat them to the skincare products they love. I've heard lots of great things about It's Skin's Power 10 VC range, especially their cleansing foam and One Shot Solution moisturiser. These products help to brighten and hydrate the face with the help of Vitamin C, the new power product in skincare. A coupling like this would be a perfect addition to someone's skincare collection and your friend or sister will appreciate the fact you've taken the time to note down their fave skincare brand. When the temperature drops outside, I find myself reaching for my favourite hot chocolate to soothe me through the cold evenings. There are few hot chocolate's that meet the mark for me in getting the right amount of flavour and creaminess and Hotel Chocolat is one of those. I already adore their rich chocolates so I find this a lovely treat in the evenings after dinner with marshmallows and whipped cream if I'm feeling a little fancy. They're able to get that gorgeous flavour by using 70% dark chocolate and so is the perfect gift for those who love an evening treat. 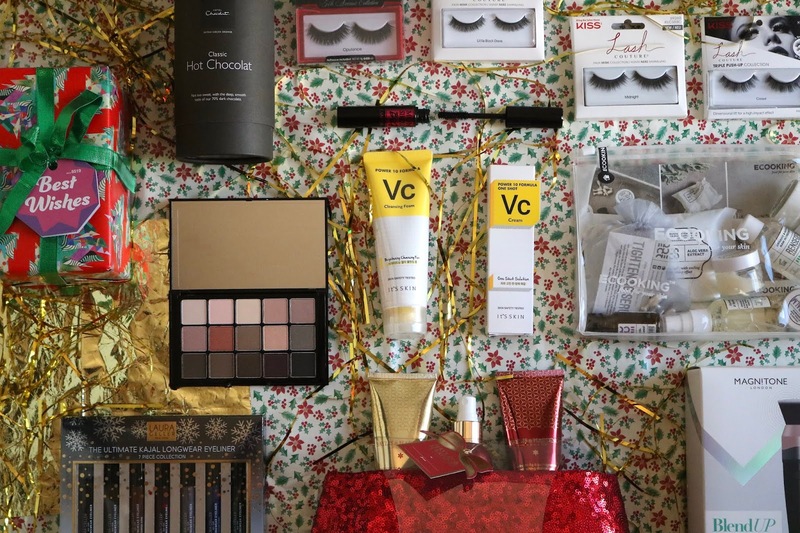 Hope you loved the first of my gift guides for this year! Thanks again to all the brands and PR's that gifted me these products for this post. Christmas Gift Guide: Bookworms + A Giveaway!